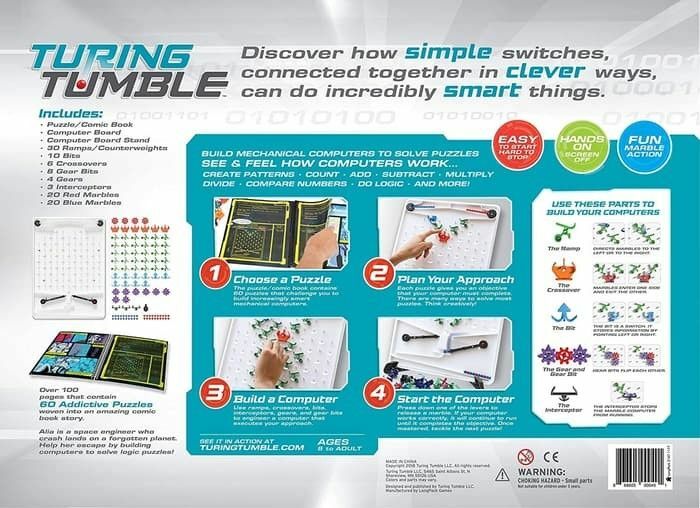 SMART FUN: Build amazing marble-powered computers to solve logic puzzles! 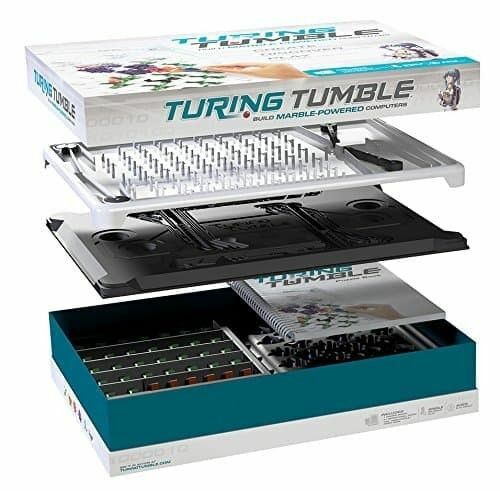 In the process, players learn to code in a language without words and discover how computers work. ADDICTIVE PUZZLES: A 120-page puzzle book contains 60 puzzles ranging from easy to difficult. Players become Alia, a deep space engineer who must solve puzzles to escape a forgotten planet! 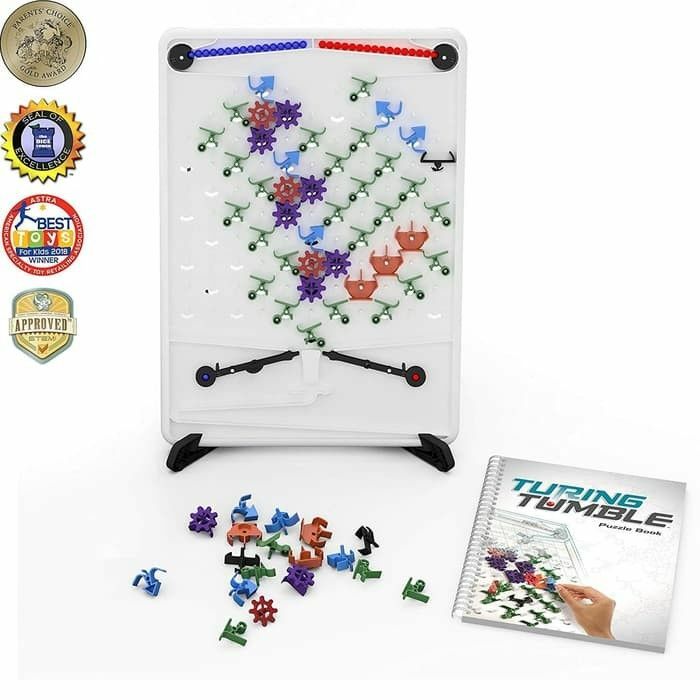 FOR KIDS AND ADULTS: Fun and easy-to-learn for kids, but becomes exceptionally challenging, even for teens and adults. 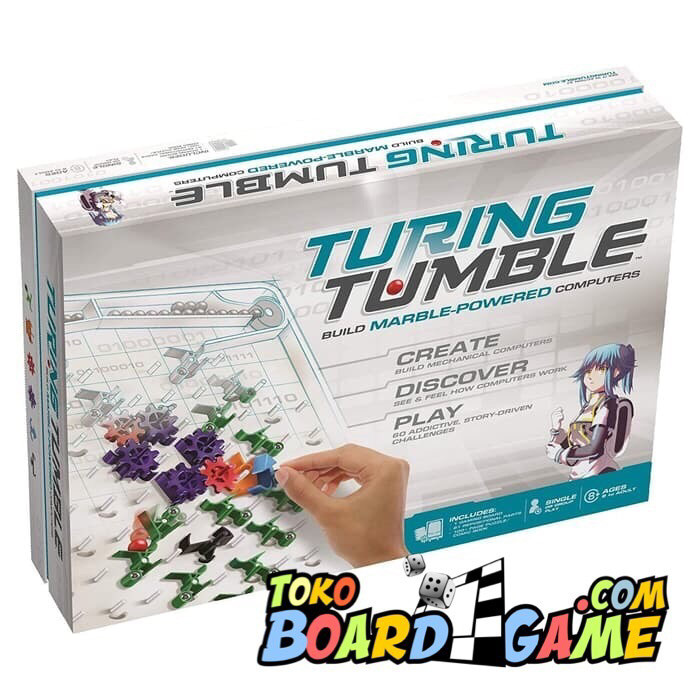 A premium learning toy that is captivating and fun for all. HANDS ON, SCREEN OFF: The computer logic isn’t hidden inside a chip, it’s right there in front of you. No electronics at all. 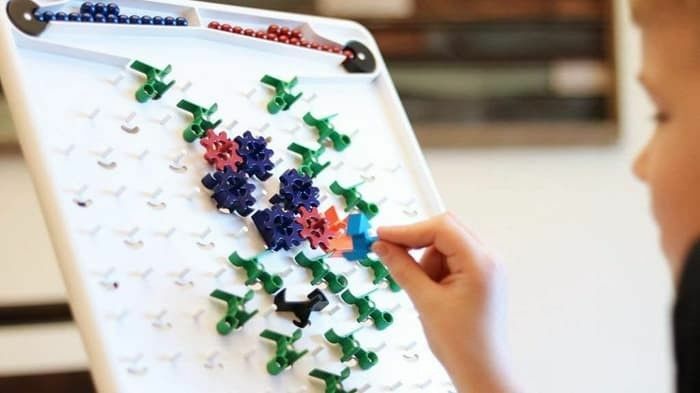 This hypnotic marble run will forever change the way you look at computers.